LANGLEY — Its shared history is not exactly an open archive, yet the organizers of the 2017 Big Kahuna B.C. 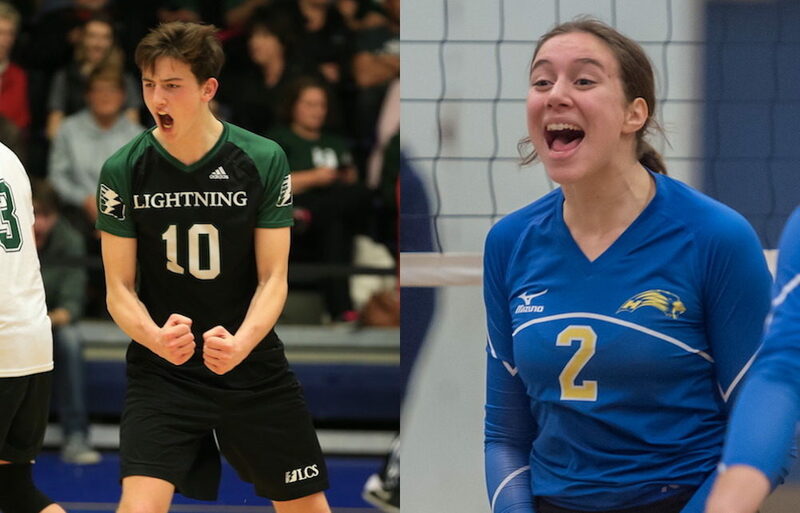 High School Volleyball Championships know there will be a special vibe when the events kicks off a four-day run Nov. 29 at the Langley Events Centre. While the B.C. Boys AA and AAA championships return to the LEC, it is the inclusion this season of the B.C. Girls AAAA tournament which makes the event more than just a little historic. The boys and girls last shared the same stage for what is believed to be the first and only time back in 2003 when the event was hosted by Kelowna. Just getting to the B.C. championships is a journey for the 1000’s of student-athletes around the province who play the sport. 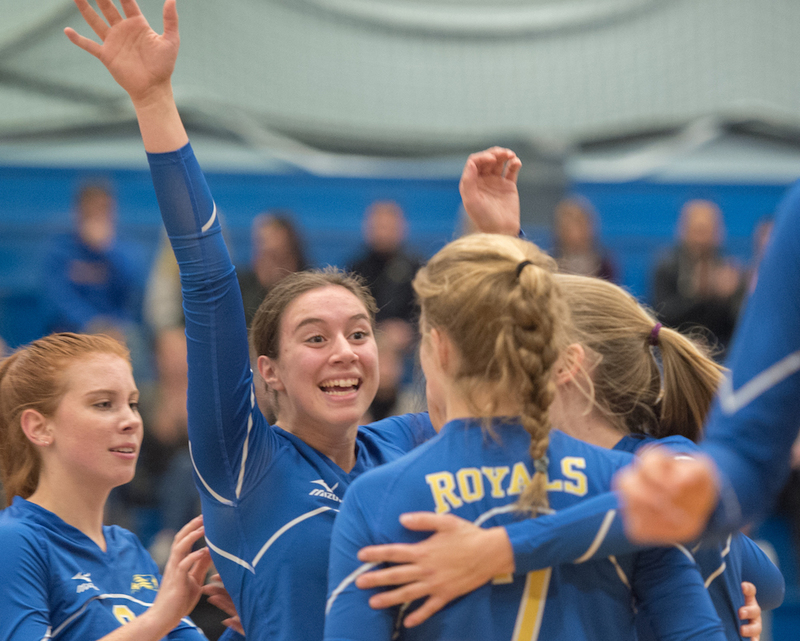 NORTH VANCOUVER — As the fourth of four volleyball-playing sisters at Handsworth Secondary, it’s no surprise that a lot of hard work and a pinch of osmosis has brought Kayla Oxland to a familiar final few weeks of November in her senior year of high school. In fact, ask the UBC-bound Oxland when it was that she was first bitten by the fever and the ferocity of the B.C. tournament and she pares it down to an actual day (Dec. 4, 2010). “I do remember the moment so very distinctly,” says Oxland who as an impressionable fifth-grader, had tagged along with older sister Emily and their father, Handsworth head coach Tom Oxland, to that season’s provincial tourney in Nanaimo. Later that evening back in 2010, Emily, a Grade 11 setter, helped Handsworth win its third straight B.C. title en route to being named tournament MVP. Six years Emily’s junior, Kayla has also fashioned an impressive resume, including a B.C. title in Grade 10, and a silver-medal finish last season after a loss to Belmont of Victoria in the 2016 championship final. And what endures from that moment seven years ago? For Kayla Oxland it is the realization that leadership comes in many forms, and that inspiring others to accept that mantle is potentially the most important version of all. 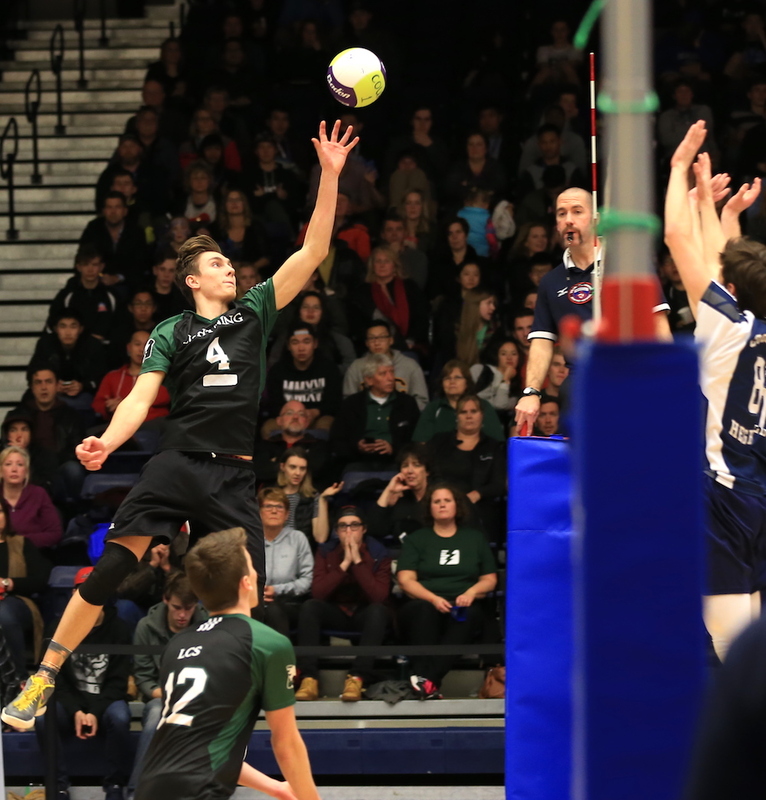 LANGLEY — It’s not like Brodie Hofer has ever taken anything for granted on the volleyball court, but after winning a provincial AA title last season and being named the tier’s Most Outstanding Player, the contrast from his 2016 to his 2017 could not be more pronounced. “It happened at home, a freak accident in the summer and as a result, I have two broken toes,” said Hofer, who has yet to play this season for a Lightning team that is currently No. 1-ranked in B.C. It’s a credit to the depth of the Langley Christian program that the lofty ranking has been maintained after the Lightning lost four starters to graduation and then their star returnee. Yet Hofer is hoping to be back for the stretch drive of Fraser Valley championships, hoping to give his team the boost they need to return to the LEC as defending champs. And if you think his senior journey has included nothing but down time and a complete lack of mental investment in terms of the development of his teammates, you couldn’t be more wrong. Hofer, a Trinity Western Spartan recruit, first took the time to find a mentor in ex-Spartans player and current TWU team manager Mike Grypma. Those lessons have clearly been paid forward. The lessons learned through the adversity of missing virtually all of his senior season are surely ones which will stick with Brodie Hofer the rest of his career. (The Langley Events Centre will become the largest star in the B.C. high school volleyball galaxy over the four days of the provincial tournament. However the boys A, and the girls A, AA and AAA tournaments will also be contested at sites around the province.